Every year, legions of K–12 students read through Shakespeare’s plays and sonnets in their English and language arts classes, but do they really understand what they’re reading? One website aims to make sense of the Bard’s poetic yet perplexing lines in modern English for contemporary young readers. 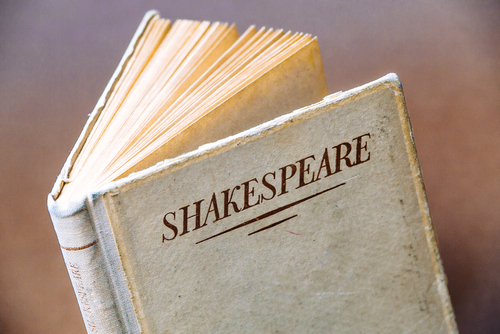 Shmoop’s site, Shakespeare in Modern English, is designed to give students the best of both worlds: Reading the original text online right alongside a modern English translation and summary. Shmoop is known for its all-inclusive guide to Shakespeare, called Shmooping Shakespeare, which includes everything students could ever want to know about the Bard of Avon: in-depth summary and analysis of every single one of his plays and many of his poems; an extensive biography; an entire section devoted to his most famous quotes and another devoted to the words he coined; and Shmoop’s well-known Shakespeare Translator, which lets users turn their everyday language into eloquent Shakespearese. Shakespeare in Modern English gives users the ability to read his plays in their entirety, while getting side-by-side insight into what’s actually happening in each scene. Students and teachers looking for more structured lessons on the Bard can subscribe to Shmoop and get access to courses like Shakespeare in Context and Shakespeare’s Plays, even earning college credit. Schools and districts can get bulk discounts on already below-market-rate materials by contacting sales@shmoop.com. Based in Mountain View, CA, Shmoop offers hundreds of thousands of pages of original content for study and assessment. For more information, visit Shmoop’s website.